NWA Media/ J.T. 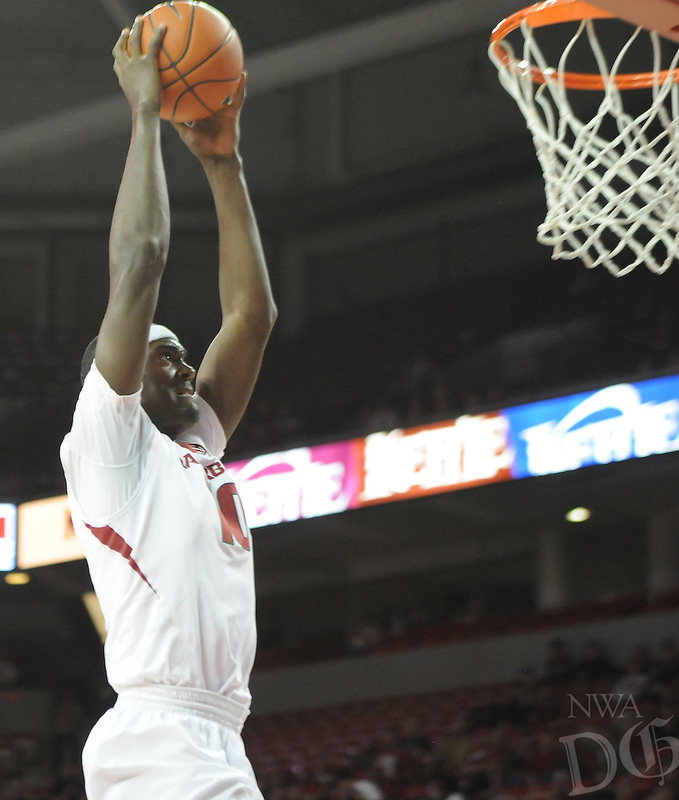 Wampler -Arkansas' Bobby Portis dunks after stealing the ball from Utah Valley Saturday Jan. 3, 2015 at Bud Walton Arena in Fayetteville. The Hogs won 79-46.